he EEF1A2 International Patient Insights Network (PIN) is designed to create a central registry for information on patients with mutations in EEF1A2. The more information we can compile with more consistency, the better our chances of understanding how mutations in EEF1A2 cause epilepsy and intellectual disability. With this PIN, we will be able to track outcomes, pull together information on treatment effectiveness, and ultimately, design better therapeutic strategies, including the development of new drugs. 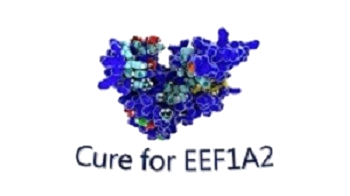 Welcome to the international registry for patients with mutations in the EEF1A2 gene. This registry is designed to provide consolidated information on epilepsy and other neurodevelopmental disorders experienced by people with mutations in EEF1A2. By collecting and curating information on the disease, this registry will help researchers to understand both the core and individually specific features of the disorder.